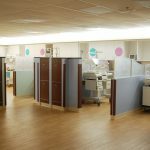 Howell successfully completed a 15-phase, $2.2 million renovation to the 2nd floor, 28,000 square-foot postpartum/labor and delivery unit in nine months. 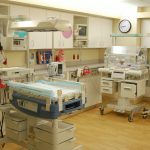 The construction scope included finish upgrades, fire alarm and sprinkler, plumbing, HVAC, and electrical modifications to patient rooms, core space, elevator lobby, NICU, and operating rooms. 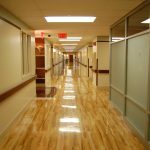 All work scope was completed adjacent to occupied inpatient spaces and required a high level of infection control. 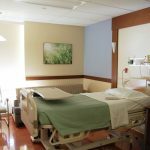 Daily coordination with hospital staff and subcontractors was required for phasing, containment, construction access, and Method of Procedures to successfully keep the hospital operational without incident.